In the Midwestern Conference on Saturday the Madison Radicals host the Indianapolis AlleyCats in the first round of the AUDL Playoffs. The winner will face Chicago next Saturday in the Conference Finals. Though the difference between the two teams seems great looking at the win-loss column, with Madison at 13-3 and Indianapolis only at 9-7, the point differential is considerably closer. Indianapolis is closer to Madison in point differential than Madison is to Chicago. The teams have played each other three times already this season, with Madison going 3-0. But each of those games was close. Two were decided by only two points, and Madison’s four point victory came in very sloppy conditions when the game had to be called due to weather in the second half. In their final game this year, the Radicals won 25-23 in front of their home crowd. Though the AlleyCats were missing players like Jared Payne, Luke Broderick, and Michael Ford in this game, they still gave the Radicals all they could handle. That game gives a great preview of what to expect in the playoffs, and here are three keys to Saturday’s match. These teams show a strong contrast in style. One of the biggest contrasts is the size advantage for Madison. Players like Scott Richgels, Dave Wiseman, and Pat Shriwise make the Radicals a tough team to go up against. But this size advantage doesn’t always work in the Radicals favor. 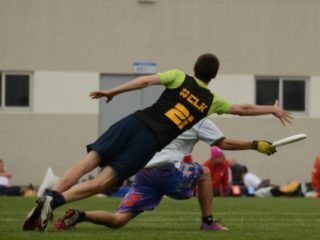 In their Week 14 game against the AlleyCats, Madison put up too many contested hucks, just because they liked the height mismatch. Of course sometimes they worked, as it did when Scott Richgels came down with a contested huck in the end zone to give the Radicals a 24-23 lead they wouldn’t relinquish. But it’s important to remember the whole game rather than just one or two big moments. Madison’s contested huck looks came from several different Madison players, and if they want to win Saturday they need to be smarter with the disc. Another way Madison tries to use its size advantage is by throwing zone. A considerably more uncommon tactic in the AUDL than Club due to the wider field, the Radicals D-Line consistently threw zone against Indianapolis. However, it wasn’t too effective. The zone gave the AlleyCats easy swings whenever they wanted them, and the ‘Cats showed they were completely capable of moving the disc down the field. Unless it’s significantly windier for tomorrow’s game, it’s doubtful that zone will be a game changer for the Radicals. The Radicals have some big names missing for Saturday’s game. While U23 players like Brian Hart, Kelsen Alexander, and Kevin Brown are missing Saturday, those players haven’t played significant minutes for the Radicals this year. Among those three, only Alexander has played more than 100 points. The players that Madison will miss the most on Saturday are David Schleicher and Pat Shriwise. Schleicher is out with a broken foot, and didn’t play in the most recent game against Indianapolis. Shriwise is the best man at a wedding on Saturday, and played a big role in Madison’s recent victory over the AlleyCats. As a cutter he was almost always wide open on under cuts, gaining easy yards and allowing Tom Annen and Andrew Brown stall count resets when they needed them. And of course he also bailed out a couple poorly thrown hucks with big grabs. Tom Coolidge will replace Shriwise in the Madison offense, but can’t replace everything Shriwise was able to do. Scott Richgels and Dave Wiseman will most likely take on even bigger roles in the Madison offense with Shriwise out of action. It also means that top Indianapolis defender Travis Carpenter will be free to guard a different player, where a lesser height mismatch might enable him to make a greater impact on the game. Meanwhile the AlleyCats have a full roster for Saturday’s game, completely healthy and with a full roster for the first time this season. The Radicals huck the disc with far greater frequency than Indianapolis, but even in their Week 14 game managed a completion rate at 94.4%. That’s because they rely on their two O-Line handlers, Andrew Brown and Tom Annen to keep possession of the disc for them. And Brown and Annen are very good at that. They both excel at getting open for resets, and seldom make mistakes. Even with these two savvy handlers, Madison cutters frequently look deep, with varying degrees of success. The AlleyCats, though they don’t have the kind of top level club talent most fans would recognize, play just as efficient on offense in a different way. They spread out touches more evenly. None of their players has over 500 throws on the season. Both Annen and Brown have over 600. 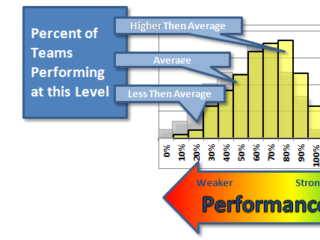 All season long Indianapolis has talked about their “boring” offense where they look to take the under cuts all day, and it’s their greatest strength. The Madison D-Line will try to cause get the ‘Cats out of their comfort zone, either by throwing that zone or making Cameron Brock a thrower and forcing Keenan Plew deep. But, those strategies haven’t been very effective against Indianapolis this season. Their zone was ineffective last time, and when Minnesota made Brock a thrower in their June 23 game, he ended up with six assists and the AlleyCats won 29-21. Though Madison may have better personnel to match up than Minnesota did, with both Mike Swain and Tyler Glenn standing out as some of the best defensive players in the conference. While Madison is the favorite heading into this game, the AlleyCats have their sights set on the upset. This should be a great game, that will most likely be decided in the final minutes.